Home / Amazing / Star Wars / Technology / Video / Star Wars Ultimate Fan? Check out this Real Burning Lightsaber! Star Wars Ultimate Fan? Check out this Real Burning Lightsaber! The seventh installment to the epic space film series, Star Wars: The Force Awaken, was released to the big screen just last month and fans from every generation are raving about it still. And if you're a fan of the franchise, we're pretty sure you wanted a lightsaber for yourself. I mean, wouldn't it be cool to swing around a plasma blade, powered by a kyber crystal? Wouldn't it be cool to be a jedi (or a sith, if that's what you want!) and hold its metallic hilt and use it to combat or as a means for self-defense? Allen Pan swinging the Real Burning Lightsaber. Now meet Allen Pan. He is the proud owner of the YouTube channel called Sufficiently Advanced, which he says is where he uploads videos of him trying "to make pretend things into real things". One of the things he made was a lightsaber! 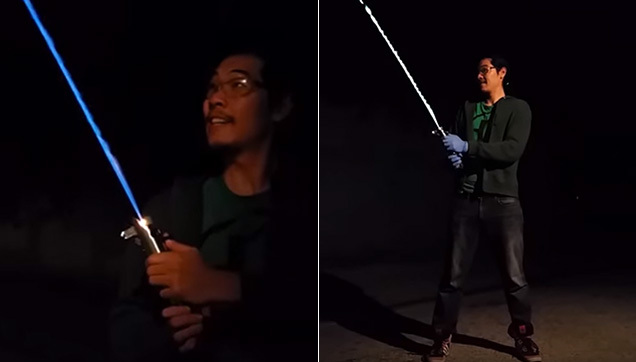 Using a methanol/acetone fuel mixture, with butane as the propellant, he made a lightsaber that even includes sounds effect for maximum Star Wars experience! 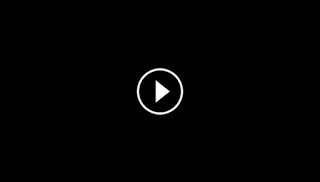 The video he made titled "Real Burning Lightsaber" has now over five million views! Although a few comments said it was more of a flamethrower (or an oversized lighter), it was still an awesome try. Plus this only means we're a little closer to seeing the Star Wars technology we all love, right?